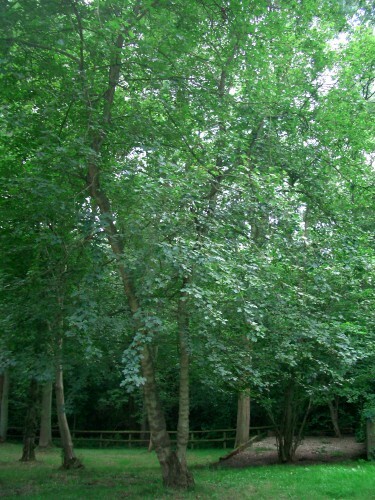 The Common Hazel is native to Britain and Europe and especially common in oak woods. 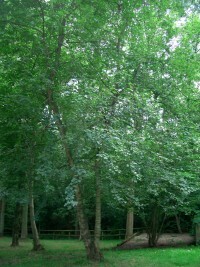 It is a deciduous tree and one of the earliest to flower. 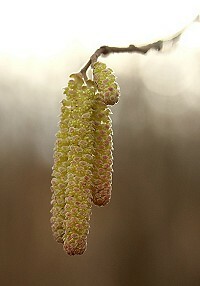 The photograph of these catkins on the right was taken in January although February and March are more usual months. 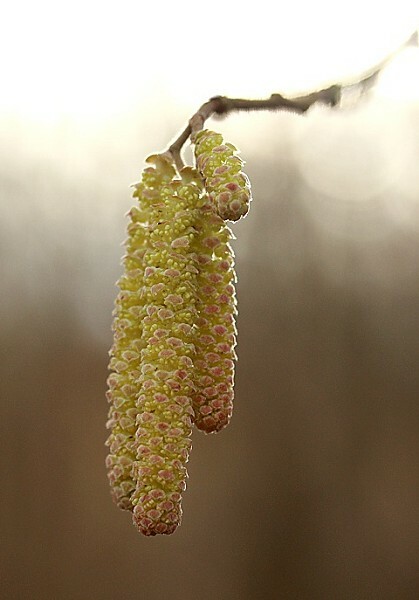 The leaves are round and hairy with pointed tips and slightly serrated. 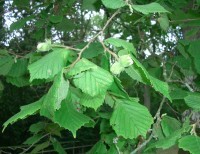 The nuts are good to eat. 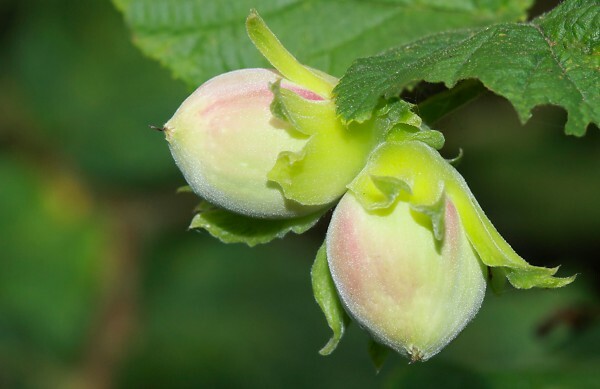 They appear in clusters of 1 to 4, enclosed in green bracts and start green turning to brown.